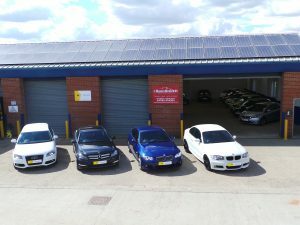 If you are looking for great savings on quality used cars in the Leicester area , then you have reached the right place. Sam Smith Motor Retail Ltd are a specialist used car dealer based in Leicestershire . We are proud to offer you a first class customer service and very competitive pricing, so please browse our stock list. At Sam Smith Motor Retail Ltd we stock a range of used cars to suit all budgets and lifestyles so we are sure to have the right car for you. We are a small family run company and we have a very friendly customer enviroment. If you are looking for a second hand car in Leicester , then don’t delay, call us today to book a test drive. In order to offer cars to suit everyone we make sure that we update our stocklist regularly. It is therefore always worth giving us a call, even if you don’t see what you are looking for on our website. We are also a member of Motor Codes which we are proud to tell our customers. This means we are governed by the Trading Standards Institute-approved guidelines, so be rest assured you are in safe hands.